Skills, artistry, flamboyance – there isn’t a better stage than the FIFA World Cup to put oneself on the global map of football. Every four years, while some crumble under the exceeding weight of expectations, there are a select few who set ablaze the path to stardom. From James Rodriguez’s Golden Ball winning performances in 2014 to Josimar’s meteoric rise to prominence in 1964, every edition of the FIFA World Cup brings forth its own share of surprise packages. That Ruben Loftus-Cheek is a generational talent isn’t simply an opinion of Chelsea fans, but a theory which has increasingly caught the wind over the last season as the young midfielder showcased a flurry of phenomenal midfield displays at Selhurst Park to tip the scales of Gareth Southgate’s selection in his favour. His quickness on his feet is well-documented, as is his ability to play snappy passes through crowded midfields at his will. Loftus-Cheek might only be of 22 years of age, but the central midfielder has always been on the fringes of Chelsea’s first team squad, learning from some of the best in the world. And all that expensive tuition is likely to bear fruits for the Three Lions as Loftus-Cheek’s inclusion in the matchday squad seems a foregone conclusion for Southgate’s side, which is in dire need of creativity in deep midfield. 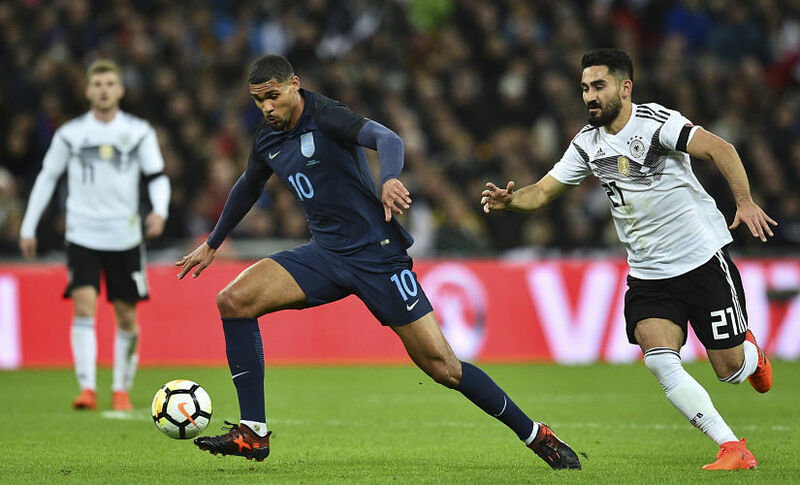 Regular football in the English top division has put to rest the lingering doubts about Loftus-Cheek’s temperament and the youngster will be pivotal to England’s plans of playing an energetic yet arresting brand of football against the best of opponents. Denmark’s Thomas Delaney and Borussia Dortmund’s latest midfield recruit is among the countless unassuming central midfielders plying their trade in different corners of Europe. Yet, regular Bundesliga observers are in awe of the 26-year-old renowned as much for his leadership abilities as for his pinpoint tackling. Having won the second most number of challenges in the Bundesliga last season, Delaney is the perfect foil for Danish star Christian Eriksen’s flair in the midfield. The former Werder Bremen player’s knack to get into goalscoring positions and his creative genes will prove invaluable to Age Hareide’s side. Delaney is an integral aspect of Denmark’s strong core – his playmaking skills and unassailable attitude making him one of the contenders for the breakout star of the summer. When Iceland managed the historic feat of eliminating England in the 2016 UEFA European championship, Alfred Finnbogason was just another name on the reserve bench drenched in the glory of his more popular teammates like Everton’s Gylfi Sigurdsson and Burnley’s Johann Berg Gudmundsson. Yet, the 29-year-old experienced campaigner will be one of Iceland’s significant squad players in the Viking Clap’s upcoming sojourn at Russia. Finnbogason is coming off a successful season leading the charge for Augsburg in spite of an injury-riddled spell on the sidelines. With 12 goals in 19 Bundesliga appearances, the striker is in a rich vein of form and will be crucial to Iceland’s ambitions of progressing to the knockout stages. Iceland’s dogmatic approach to games means they will rely on caution to navigate through the difficult Group D.
It isn’t simply his goals, but his overall link-up play which will be crucial against opponents with greater firepower, and Finnbogason could very well be one of those players whose presence in the ranks and tactical contributions far outweigh his apparent strengths. As football fever gripped the Indian subcontinent last autumn, one of Uruguay’s key players in their run through to the semi-finals was the former Boca Juniors midfielder Rodrigo Bentancur. The ambidextrous central midfielder had experienced a meteoric rise through the ranks for his club and country, and the youngster’s selection in Juventus’ crucial UEFA Champions League fixture against Real Madrid seemed to be the pinnacle of his season. But more was to come after the Scudetto-winning season for the youngster. Among all of the Bianconeri’s representatives in Russia, Bentancur is one for the future. In a solid but not spectacular La Celeste midfield, Bentancur is behind the likes of Diego Laxalt and Matias Vecino in pecking order, but the youngster’s technical prowess could see him feature regularly for Oscar Tabarez’s side. Bentancur’s passing range is diverse and enables him to start attacks from the deep, but equally crucial is his ability to play as a targetman in the midfield setup because of his strong aerial skills, acting as the fulcrum around which a team’s attack can develop. Uruguay always rank among the better performers during any FIFA World Cup and Bentancur could very well be a star in the making. From the streets of Rosario to the inside midfield channel of Paris Saint-Germain, Giovani Lo Celso’s swift rise through the ranks may seem abrupt but it is only a reward for his perseverance. The central midfielder has been a revelation in the second half of the recently concluded season and is expected to feature alongside Javier Mascherano and Ever Banega in Argentina’s midfield. Lo Celso, a clearly cerebral midfielder, has managed to thrive in a physically aggressive role at Parc des Princes – a trait which bodes really well for Jorge Sampaoli’s side. 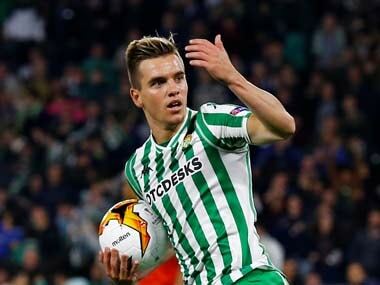 Last edition’s runners-up have had a few hits and misses over the past four years, but Lo Celso’s inclusion isn’t a surprise by any means, the 22-year-old boasting of the necessary combination of immense potential and strong work ethic. Ready to explode on to the scene, the youngest member of the Belgium squad is the perfect symbol of talent bursting through the entire Red Devils squad. AS Monaco’s Youri Tielemans has consistently surpassed expectations at every level of the game – his adeptness at donning a variety of hats in the midfield enabled by his pace and precision. A diverse array of passes is a must for any modern midfielder, but Tielemans combines his vision with a lethal shot, finding the back of the net at regular intervals. His reading of match situations is beyond his years and the capability to quickly adapt has made him one of the players to look out for this World Cup. Beyond Ligue 1 and his native Belgium, Tielemans is still pretty much unheralded because of his youth, but make no mistake, this 20-year-old has it in him to not only be an indispensable part of Roberto Martinez’s squad, but also a household name by the time the 2018 FIFA World Cup wraps up. That the FIFA World Cup is a showpiece event for the cream of the crop is no doubt, but it is the ascent of the hitherto unknown footballers to the limelight which adds to the gleam of the World Cup and the numerous stories it tells.